Serving the needs of the professionals representing all segments of the global plastics industry, plastics.com is the world’s oldest and largest online plastics community with over 70,000 members and features being added now that will include; technical advice, blogs, calendars, resources, articles, news, forums and a marketplace. It’s that simple with us. One unique differentiator, that you’ll always see with us, is that our site serves the plastics professional, and communities are the focal point of how we do this. 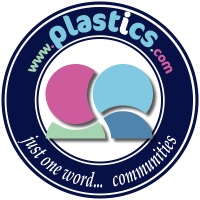 We build plastics communities that are free FOR plastics professionals. We build plastics communities WITH industry partners. We build our plastics communities with ‘Content Marketing’ techniques. We apply World class search engine optimization (SEO) to these content driven plastics communities. We send the strongest possible sales leads to our plastics community partners. And by the world’s oldest SEO team on the industry’s only top level domain. Keeping it short, if you’d like, ask us about our programs. We’ll be happy to demonstrate how it’s done. There’s no other plastics site like us, we’re here for you, the plastics professional. Again, keeping it short, we’re currently rebuilding plastics.com from the ground up, including all previous content. Over the first quarter of 2017 there will be constant stream of new features and content. Signup for our newsletter and we’ll keep you up to date! The publishing arm of Plastics.Agency, LLC owns, manages and is developing, the strongest network of g(TLD) plastics domains worldwide including; www.plastics.com, plastics.asia, plastics.wiki, plastics.info, plastics.press, plasticswire.com, plastics.media, plastics.agency, polymers.com, polymers.cn and polymers.asia. The flagship website; www.plastics.com, is the global plastics industry’s premier provider of highly valued and trusted news, resources, community and technical content. As a result of the in-house SEO staff’s incomparable experience, the site has achieved more #1 google rankings for common ‘plastics’ terms, developed one of the largest opt-in industry email lists and has the industry’s dominant social channels. The website experiences steady growth and currently receives between 20,000 and 40,000 unique visitors per month with requests per month between one million and two million. Plastics.com’s unique PlasticsEdge™ program provides sophisticated lead generation using inbound content marketing micro-sites that are extensively SEO’ed to client keywords and combined with mass email and social media broadcasting. Plastics.com is managed and operated by our parent; Plastics.Agency, LLC. Boston, MA. based Plastics.Agency, LLC is a boutique internet marketing agency and content publisher specializing in the trillion dollar plus global plastics industry. In 2014 the company celebrated it’s twenty year anniversary and is known to be the world’s oldest and most experienced internet marketing firm, as well as the publisher of the world’s oldest and dominant plastics industry portal; www.plastics.com The Plastics.Agency, LLC core team, still in place after twenty years, is a small group of world class marketing executives and code/search technicians. The client marketing side of Plastics.Agency, LLC. provides all manner of internet marketing services to firms worldwide that market into the plastics industry. Services include; campaign management, web dev, search engine marketing, mass email marketing and social media management as well as strategic marketing plan counseling.